I love my crafty kids and the copious mountains of artwork they produce on a weekly basis, but I have to admit that a lot of that love comes from the fact that I’m their mom. Their stuff isn’t generally useful, and sometimes, truth be told, it isn’t even pretty. So, occasionally, I’m faced with an extremely minor dilemma – the kids want to give a homemade gift, and I want to make sure that we give things that are actually useful and/or pretty. What’s a mom to do? If you’re this mom, you track down a set of kid-friendly DIY projects that are pretty (and pretty useful, too)! Fuse Bead Bowl: I actually spent an hour picking Peeler beads out of the carpet just yesterday, so this one is really catching my fancy. You’ll need a grownup or older kid for the oven part, but otherwise this is easy enough even for toddlers to participate. Styrofoam mosaic frame: Another charming craft that looks much fancier than it is! Put the littlest ones in charge of smearing paint onto styrofoam, your kindergartners can incre their hand strength by cutting out the “tiles,” and elementary school kids work on patterns and other early math skills by arranging the colored pieces on the cardboard frame. Meanwhile, you can have a glass of wine. Everyone wins! 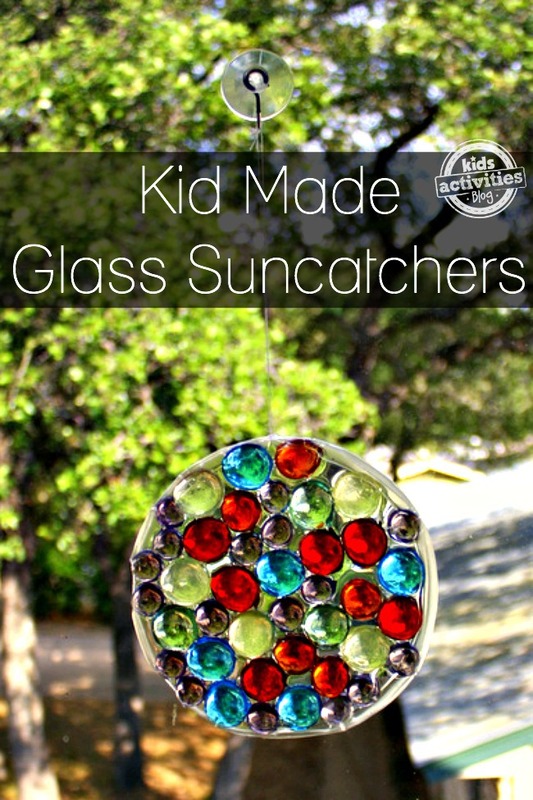 Yogurt lid glass mosaic suncatcher: I don’t know about your kids, but my kids genuinely believe that there can never, ever be enough glue in a craft. Fortunately, this craft lets them exercise their wanton glue excesses in the service of a decidedly giftable craft! 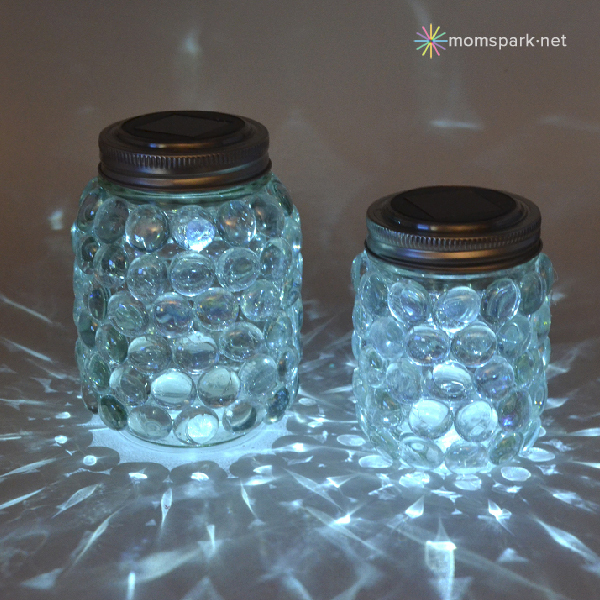 Mason jar luminaries: Don’t put those glass beads away just yet! 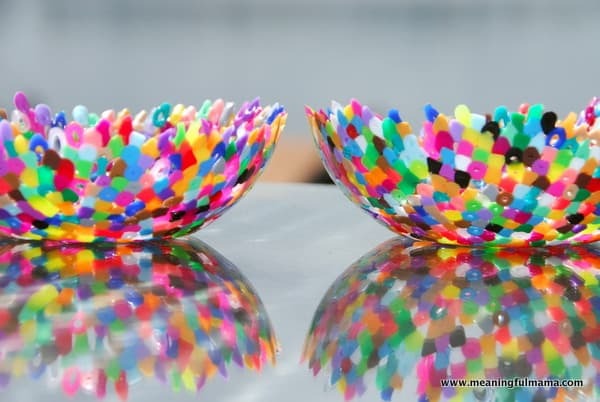 If your kids are old enough to use a hot glue gun, they can make these actually-gorgeous luminaries! Throw these cool solar lights in, and these can even be used outdoors! Sharpie-dyed bookmarks: For the reader in your life, this pretty craft will prevent dog-eared pages and brighten their day. 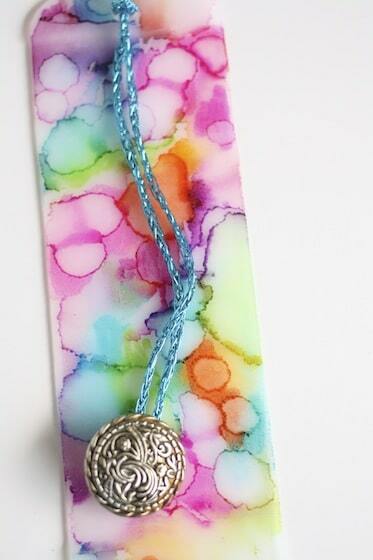 For your kids, this cool craft provides lessons in recycling, science, and art all in one small package! 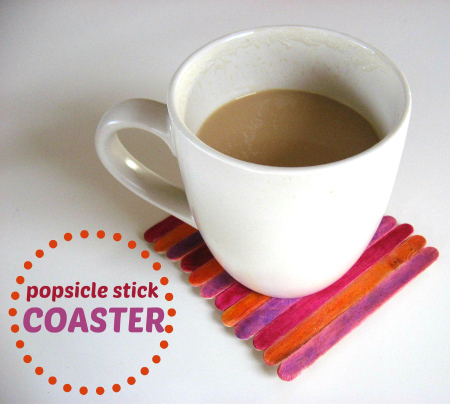 Popsicle stick coasters: All you need to make these simple coasters is popsicle sticks, markers, and glue, which means that even toddlers can get in on this crafty action! Sure, you can dress is up a bit with glitter or stickers for the bigger kids, but this one still looks great when you keep it simple. Finger-painted tile coasters: Another simple but pretty coaster craft that is accessible for the under-2 crowd. Putting on the seal will definitely require an adult, unlike the glue-sealed popsicle stick version, but the result is a longer-lasting gift. 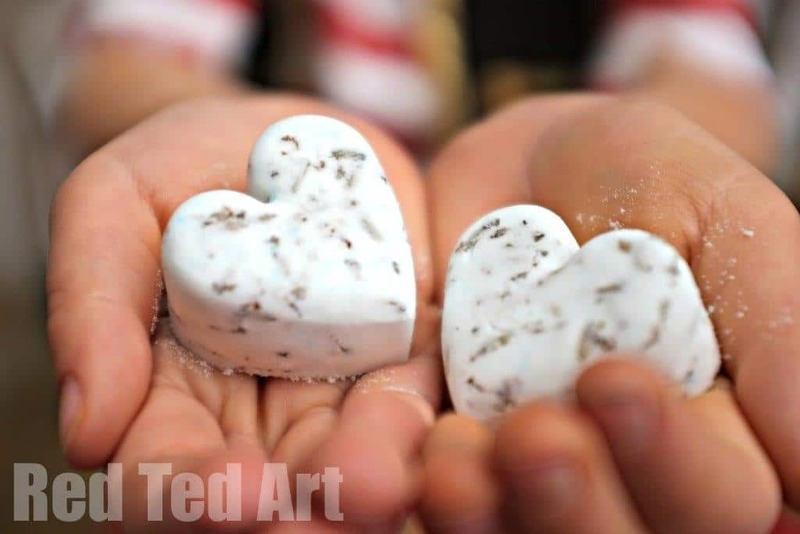 Bath bombs: Who doesn’t love an excuse for a nice, restorative bath, and if your kids make an give these to adults, you also have an opportunity to teach them about the importance of alone time. Most bath bomb recipes call for citric acid; this one uses cream of tartar instead, so chances are you have most of the ingredients on hand! Good luck this holiday season, and happy crafting!